Pricey Prostate Cancer Therapy Raises Questions About Safety, Cost : Shots - Health News Proton therapy can be targeted much more precisely than regular radiation. The hope is that it translates into far fewer side effects, such as impotence and incontinence. But it also costs twice as much as regular radiation. And there's no proof it's more effective — it could potentially be worse, say some radiation experts. 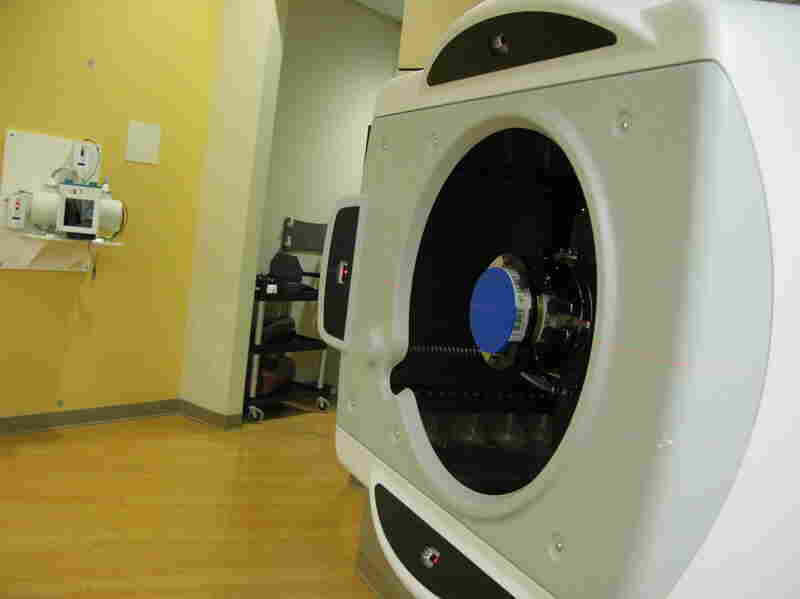 Proton machines, like the one above, that can carefully target tumors hold promise for prostate cancer patients. But the therapy can be quite expensive. "I just had a premonition that something's not right," said Sneddon, 68, of Ocean Township, N.J.
And, sure enough, Sneddon's instincts were right. He had prostate cancer. "Well, it's an eye-opener, you know. I didn't know if I had to buy a yard sale sign, you know," he said. "It's a shocking thing ... It always happens to someone else." "He told me that I should look into proton therapy. And I've known him a long time, so when he told me this is a treatment I should get, I knew this is a treatment I better get," Sneddon says. 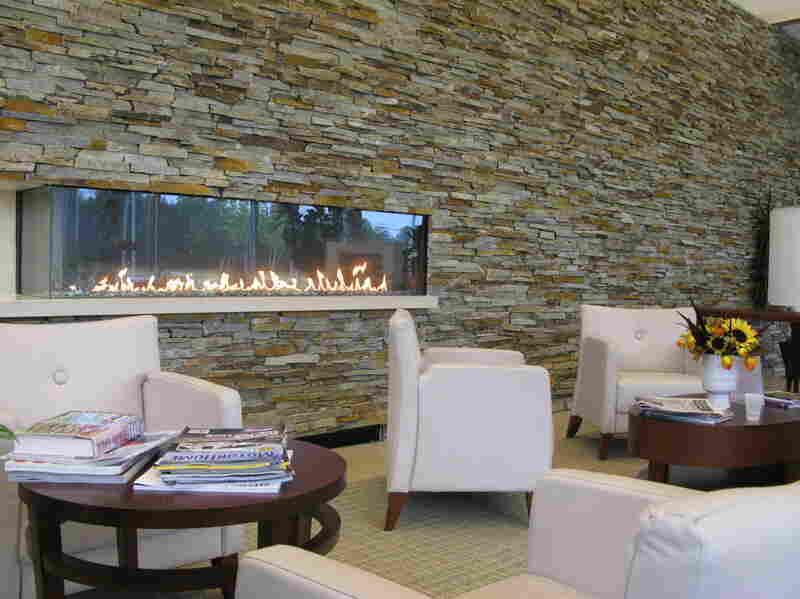 The ProCure Proton Therapy Center has a luxurious lobby that's more country club than cancer clinic. "It's like coming to a health club or a five-star hotel," Sneddon said recently as he waited for the next round of his nine weeks of treatment. "It's sort of like the difference between using a bullet, which passes through a person, and like a smart bomb that enters into a certain position, deposits its energy and then releases its radiation to that location," says Henry Tsai, a radiation oncologist at ProCure who's treating Sneddon. 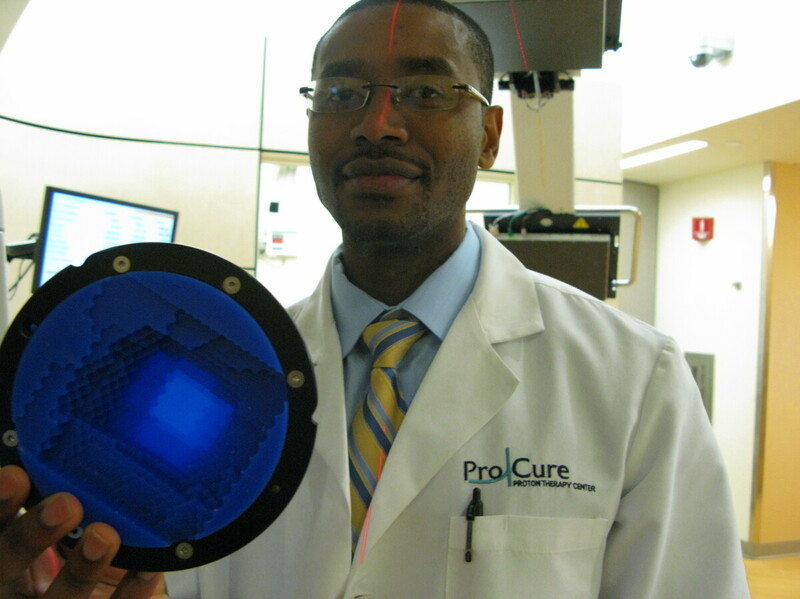 Radiation therapist Jean Etienne holds a range compensator, which shapes the depth to which the proton beam enters a patient's body to target a tumor. But proton therapy has become the center of an intense debate. Critics say it's an example of a big problem with the U.S. health system: Doctors start using expensive new treatments before anyone knows whether they work, whether they're safe, and whether they're worth the extra money. "There's a concerning trend of us building new and expensive new technology and using it for a common cancer like prostate without proving, really, that it's equivalent to the existing technology," said Ronald Chen of the University of North Carolina at Chapel Hill. "New treatments can — even though they're promising — can potentially not be better and can even be worse," Chen said. "I think we have to do careful studies before we adopt new treatments." "There's no convincing evidence that it's better. The jury really is out on this new technology," says Anthony Zietman, a radiation oncologist at Harvard Medical School. "It might be better. I feel it's probably the same. It might even be worse." And Zietman can't help but worry about how much it costs: at least $50,000 for each patient, which is about double the price tag for regular radiation. Here's why: Those huge proton machines are incredibly expensive. They cost between $100 million and $200 million to build. "There's almost no other medical device ... that I can think of that comes close to a proton treatment facility," Zietman said. Doctors developed proton therapy for tumors in really sensitive places, such as in the eye, on the spine or in a child's brain. "Any institution that forks out that kind of money and makes that kind of investment is obviously going to want to recoup that investment fairly rapidly," Zietman said. And new proton centers started opening up. All this means that the health care system is suddenly paying a lot more to treat prostate cancer with a therapy that so far doesn't look significantly more effective than other options — and may be worse. In fact, Chen reported the results of a study over the summer that suggested proton therapy might cause more side effects, such as bleeding from the bowel, pain and severe diarrhea. "Unfortunately, this is like driving a Ferrari to the grocery store and asking your next-door neighbor to pay for the Ferrari," said Peter Grimm of the Prostate Cancer Treatment Center in Seattle. Now, proton therapy has lots of fans. In fact, doctors are presenting new studies at the American Society for Radiation Oncology's annual meeting in Boston this week that they say show how well it works. They say data from thousands of men provide powerful evidence that the therapy is effective and safe. "If cost were the same, there would be no debate about providing less radiation to a patient, which is always better," said Leonard Arzt of the National Association for Proton Therapy. After changing into a hospital gown, Sneddon walked into a sleek, new treatment room. It's very sci-fi-looking. No antiseptic smells. 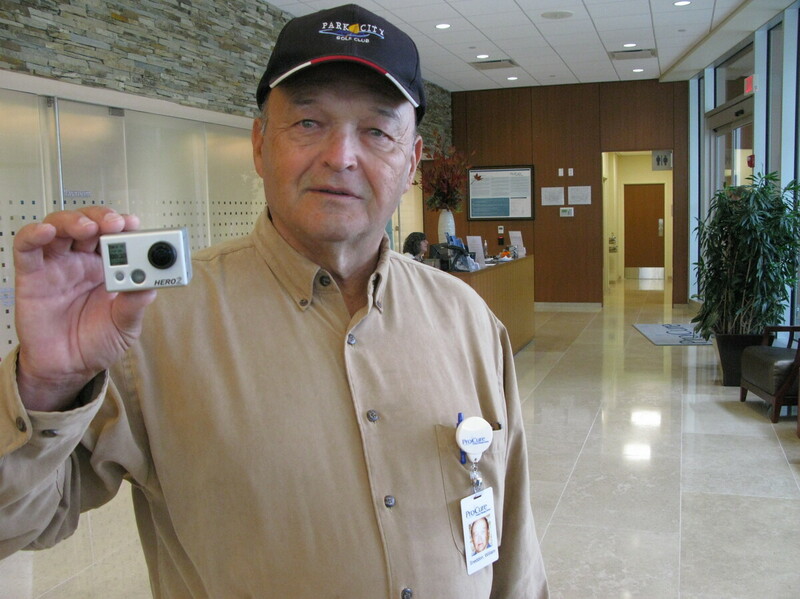 Bill Snedden video-blogged his proton therapy experience at the ProCure Center. Glowing red laser lights criss-crossed Sneddon's body. The technicians use the lasers, X-rays and three little gold pellets that Tsai injected around Sneddon's prostate gland to make sure he's positioned just right. The key is to make sure the proton beam zaps his prostate gland and, hopefully, nothing else. "There's absolutely no sound that's emitted from the proton machine. There's no sensation on the skin to indicate that the treatment is being received," Sneddon said during the treatment. "I've had a couple days where I very easily could have fallen asleep through the whole procedure," said Sneddon, who so far said he feels great, with no signs of any side effects. Sneddon figures it's the insurance companies who are behind all the questions about proton therapy. Medicare and his private insurance are covering his bills — he doesn't even know how much it costs. So he's even urging a friend who just found out he has prostate cancer to check out ProCure. In the meantime, a big, carefully designed study is just getting going to try to settle the issue. But the results won't be ready for years.